Does the local government wireless regulation exclude wireless facilities build solely within a building? If the answer is ‘yes’ (which would be a surprise in most cases) then you’re done and most likely all that will be required are standard local government issued building and electrical permits. If the local government wireless regulation does not exclude wireless facilities built solely within a building, which in my experience is the most common answer, then follow the provisions of the wireless regulation. This will commonly involve filing of an application, payment of fees, and demonstration of compliance with the provision of the wireless regulation. Okay, 1 and 2 above are obvious, and the analysis is not terribly difficult, so, why even talk about this? We’ll, I’m starting to see claims from iDAS providers telling local governments that somehow a wireless facility constructed inside a building is exempt of the local government’s generally-applicable wireless regulation. One argument used is that an iDAS constructed inside (even though it might require a rooftop backhaul antenna or other structural modifications) is not really a wireless site subject to local wireless regulation. That’s merely a unfounded conclusion, rather than a legally adequate argument, at best. If not excluded by the wireless regulation of the local government, or some other local code exception applicable to wireless sites, the wishes and dreams of iDAS providers seeking an exemption or waiver are likely to fall on deaf ears. 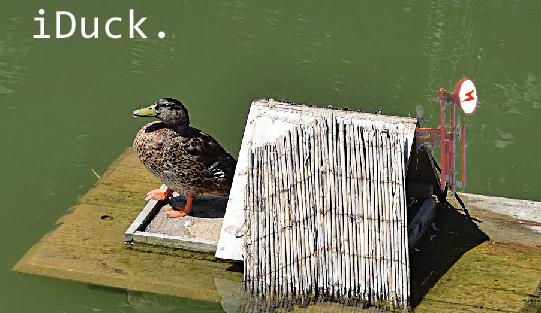 Basically, unless otherwise classified or excluded from the wireless regulation, a duck is still a duck even if it is to live inside a building (or duck house). Bad metaphor, but you get the point.